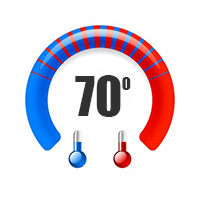 When temperatures start to drop or go up in Texas, you want to make sure that your HVAC system is able to handle increased usage. The last thing you need is for your unit to break down and leave you out in the cold. The same can be said in the summer months. At Lightfoot Mechanical, we pride ourselves on delivering swift and professional HVAC services at an affordable price. We offer emergency HVAC repairs, preventative maintenance to ensure your system is not experiencing any hidden problems and installations for when it is time to replace the unit. We have extensive experience dealing with heating and cooling systems for both the home and business. Our highly skilled technicians are on hand to service customers throughout Fort Worth and the surrounding areas of Aledo, Weatherford, Burleson, and Granbury, 24/7. In climates like ours in Texas, a high-efficiency central air conditioning system can keep your whole house comfortable while keeping utility costs low. And some units qualify for a 2011 Federal Tax Credit or a state or local rebate, saving you even more. If you are happy with the system you already have, we offer routine maintenance agreements that can help extend its useful life. Our factory-trained technicians will handle all your service needs from licensed warranty and post-warranty repairs to immediate emergency response. When you deal with the type of climate Texas has to offer, you need to make sure you keep a good eye on your air conditioner and HVAC system. Often home and business owners will leave their units to deteriorate over time, neglecting to give it the necessary maintenance it requires. While problems are not always obvious, over time your system will experience the expected wear and tear that comes with continued use. Carefully looked after models will operate with at least 15 to 20 percent less energy than those where systems are left to decline. When you consider how much people spend on utility bills, you should be doing everything you can to bring the costs down! At Lightfoot Mechanical, we offer preventative AC and Heating maintenance to ensure your system is working well and at maximum efficiency. We make sure to inspect and clean all necessary components to help improve energy use and comfort. If the time has come for a repair, we have the experience required to tackle any problems you may experience. Whether you notice something wrong with the way you heating system is functioning, or you experience issues with your AC unit, we are available anytime to help repair your unit. 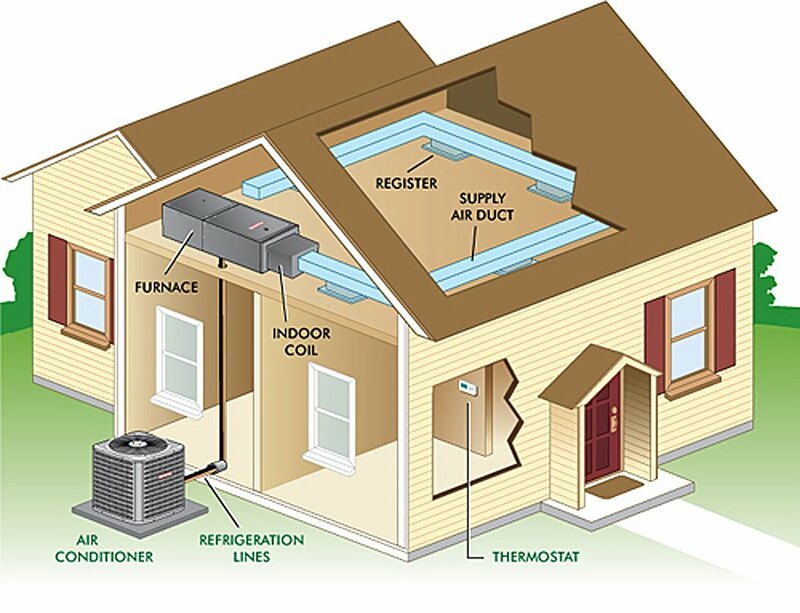 We can help you determine the best heating and cooling systems for your home or business. Contact us today to discuss your indoor comfort system needs. We will install or design any type of heating, cooling or air filtration system that you require in your home. We can guide you through the most high-efficiency comfort systems, designed to be the most cost-effective on the market and geared to the climate in the greater Fort Worth, TX area. Even the best models need replacing eventually. Luckily, our experienced team has the necessary knowledge to help you choose a new HVAC or AC unit that will best suit your home or office. We know about all the latest high-efficiency central air conditioning systems that can keep your home at a comfortable temperature, without sending your utility bills through the roof. We also know which units qualify for a local or state rebate, as well as those that are eligible for a 2011 Federal Tax Credit. At Lightfoot Mechanical, we are about ensuring the long-term happiness of our customers. We will never sell you a unit you don’t need – we work closely with our clients to find out which unit will best suit your needs and budget. Our HVAC technicians are NATE (North American Technician Excellence) Certified. This helps us to ensure that we only have the very best and brightest professionals on our team. We are dedicated to helping home, and business owners achieve a healthy, clean, safe, and comfortable indoor living environment at an affordable price. To help guarantee the best results for all of our customers, we have put in place a pledge of ethical and competent service. That means all of our employees must be screened with a background check and maintain a high level of professionalism and competency at every stage. With Lightfoot Mechanical, you can rest assured that our technicians will arrive on the scene looking clean cut and professional. We pride ourselves on delivering the very best HVAC service in Fort Worth and surrounding areas. Just give us a call to schedule a technician today!